John A. Zivnuska, a native Californian, internationally-known scholar in the field of forest economics, esteemed teacher, and former dean of the School of Forestry on the University of California, Berkeley campus, died November 18, 2002 at his home in Walnut Creek, six weeks after being diagnosed with cancer. Zivnuska was born in San Diego on July 10, 1916. Subsequently, his family moved to Berkeley. He was graduated from Berkeley High School in 1934, and immediately enrolled as a freshman at UC Berkeley. He studied forestry, and was awarded the bachelor’s degree (honors) and master’s degree in 1938 and 1940, respectively. During this period, Zivnuska developed an interest in the application of economics to the practice of forestry. He worked for a year for the U.S. Forest Service and U.S. Border Patrol in Texas before returning to Berkeley in 1941 for doctoral studies. As in the case of many of his peers at the time, World War II overtook Zivnuska’s plans. He served in the U.S. Naval Reserve from May 1942 to November 1945, rising from ensign to lieutenant. His first duty assignment was as a gunnery officer on a tanker and troop transport. Later he transferred to a destroyer that operated in the Pacific, including the Philippines, Leyte Gulf, Okinawa, and the Aleutians. On that assignment he served as the first lieutenant and senior bridge watch officer. After the war, Zivnuska served as an instructor of forestry at the University of Minnesota during 1946 and 1947 while completing his doctorate in agricultural economics. His dissertation, "Business Cycles, Building Cycles, and Commercial Forestry," initiated a lifelong career of research and writing on the economic aspects of commercial forestry in the U.S. and throughout the world. In 1948, he joined the Berkeley faculty as instructor in the Department of Forestry and subsequently was promoted through the professorial ranks to professor of forestry (economics and policy) in 1959. Zivnuska is the author or coauthor of 190 publications, including monographs, journal articles, technical reports, invited lectures, and book chapters. Most are concerned with issues in forest resource evaluation, forest industry economics, long-term demand and supply trends, forest taxation, international forestry, and forestry education. He was one of a small group of economists, that included Professors Henry J. Vaux at UC Berkeley, Albert C. Worrell at Yale University, and William A. Deurr at Syracuse University, who were pioneers in developing the conceptual foundations of forest economics as a subdiscipline of land and resource economics. Two of his early papers, "Some Aspects of the Economic Theory of Forestry" (1949), and "Forest Production Goals: A Critical Analysis" (1952), continue as classic contributions to the field. His detailed critical reviews of several U.S. Forest Service timber outlook studies, including Timber Today – and Tomorrow (1956) helped establish rigorous analytical standards for long-term timber demand and supply assessments. A series of studies in forested regions of California provided illuminating insights on land ownership change and competition in timber markets. A round-the-world sabbatical resulted in the Resources for the Future report, U.S. Timber Resources in a World Economy (1967). Zivnuska’s leadership in professional education in forestry is evidenced by "Forestry Education – Key to Resource Management" (1964), Future Resource Managers: the Education Our Schools Must Give (1969), Forestry Education in Northern Europe (1957), and Shaping Forestry’s Future: 75 Years of Forestry Education at the University of California, 1914 -1989 (1991). Zivnuska was active in campus affairs in numerous Senate committees and administrative assignments. He served as undergraduate and graduate advisor at various times in the forestry school, as a member of the Building and Campus Development Committee, and the Graduate Council. On July 1, 1965, he took office as dean of the School of Forestry and Conservation, associate director (for forestry) in the statewide Agricultural Experiment Station, and director of the Wildland Resources Center. As dean, he was active in the national Council of Forestry School Executives and the Association of State College and University Research Organizations, serving as president of the latter organization in 1970-72. During the 1970s, forestry enrollment was booming. Under Zivnuska’s perceptive leadership, the school added faculty and adjusted the curriculum in response to an influx of students with passionate concerns for the natural environment. 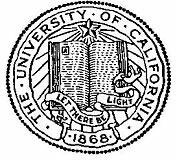 During 1973-74, a national study of professional education listed Berkeley as the nation’s top-ranked forestry school. With the merger of the school with the newly-formed College of Natural Resources on July 1, 1974, John returned to full-time teaching and research until his retirement in 1982. Outside the university, Zivnuska served as an advisor and consultant to many public and private organizations. In 1961, he was the lead organizer of the Section of Forestry, Tenth Pacific Science Congress. He was a member of the Forestry Research Advisory Committee, U.S. Department of Agriculture, 1964-70; the National Agricultural Research Policy Committee, 1971, 1972; and the National Agricultural Research Planning Committee, 1973, 1974. He was an honorary member of the California State Board of Forestry, 1965 to 1973. As a consultant to SRI International, Zivnuska worked on major studies of the outlook for the forest products industries, both nationally and worldwide, and on three studies of the capital gains taxation of timber revenues. He also served as a consultant to the Economic Commission for Asia and the Far East, the Forest Industries Council, the National Forest Products Association, the U.S. Forest Service, the Navajo Tribal Council, the Public Land Law Review Commission, Resources for the Future, and a number of forest products companies. During 1974 and 1975, he was a member of the board of directors, Fiberboard Corporation. John’s lifetime of scholarly accomplishment, professional leadership in forestry, and public service are marked by several awards and honors. He was elected as a Fellow of the Society of American Foresters in 1963 and a corresponding member of the Society of Foresters of Finland in 1972. He received the Outstanding Achievement Award, University of Minnesota, 1970; the Berkeley Citation, University of California, 1982; and the Francis H. Raymond Award, California State Board of Forestry, 1987. In 1992, the Society of American Foresters honored Zivnuska with the Sir William Schlich Memorial Award for outstanding contributions to the field of forestry with an emphasis on policy and national or international activities. In 1941, John married Ethel Rowland of San Diego, who predeceased him in 1962. He is survived by their two daughters, Ann Welker of Moraga, California, and Louise Zivnuska of Walnut Creek, California; his son, John R. Zivnuska, of Mexico Beach, Florida; six grandchildren and one great-grandson; and by Marion Marliave Zivnuska, his wife of the past 38 years, who now lives in Walnut Creek.